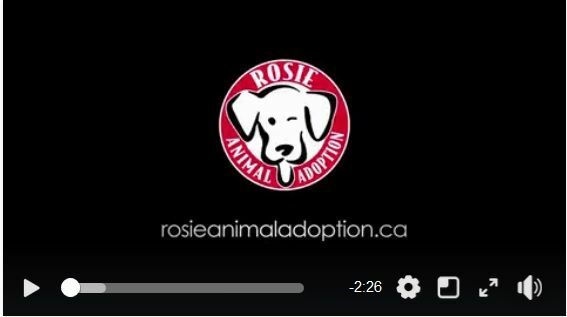 Rosie Animal Adoption will be closed during March 29th – April 12th 2019 to give our volunteers a well-deserved rest. The first quarter of 2019 has been very busy and very stressful for the team with many medical emergencies to deal with and our foster team and medical team have gone above and beyond in their dedication to ensuring these dogs have had the best care and quality of life so they can go on to their forever homes. We thank everyone who has donated their time and financially to helping Rosies. It is very much appreciated by all of us and especially by the lives that have been saved. Here’s a pic of Echo in England watching my future stepson at his rugby match. I adopted Roxy June 14th. 2016 and want to share with you the progress this lovely girl has made. Enzo and I wish you a happy holiday season.